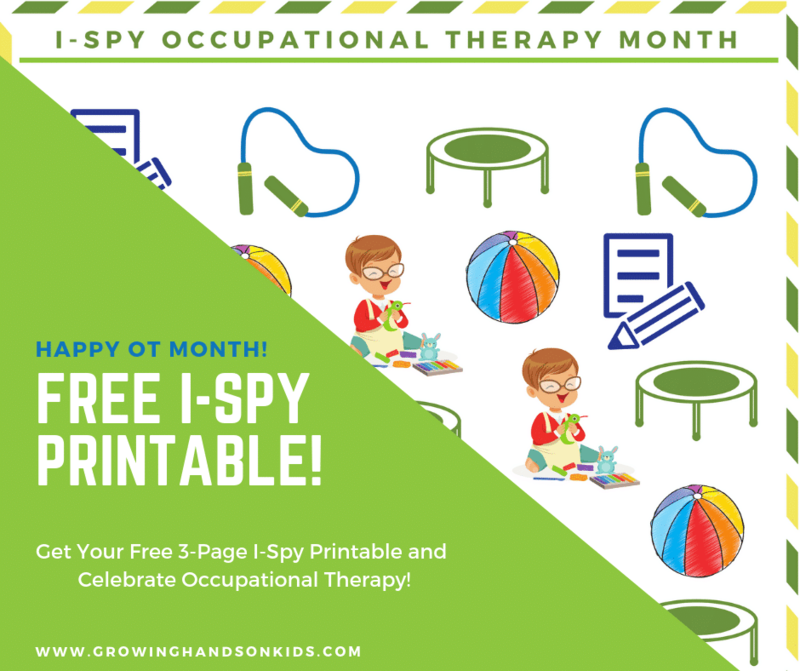 I love using scooter boards in Occupational Therapy. Not only are scooter boards great for bilateral coordination, crossing midline skills, eye hand coordination and more in kids with special needs, scooter board activities for kids in general are a fun and easy way to work on some great skills. 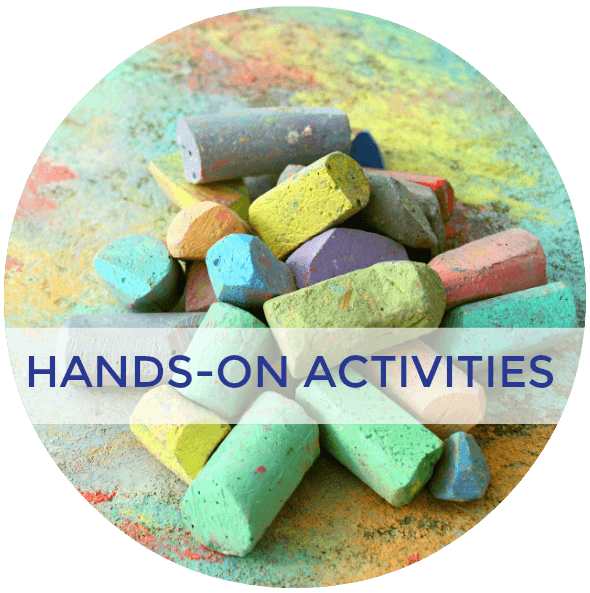 Suggested age for this activity is 3 years or older. Snow flake printable HERE or HERE (I used one from DLTK-Holidays – scroll down to the bottom of each link to print out the template. 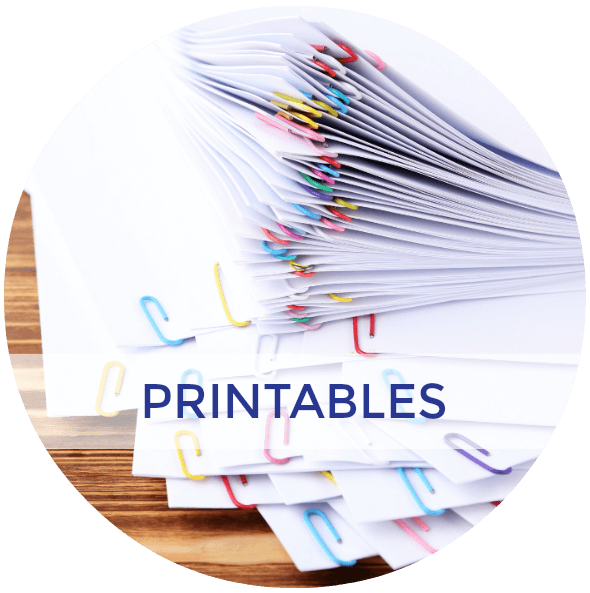 Each printable has one snow flake each, so you will need multiple copies). Print off your snow flake and tree trunk printables (links above). Then have the kids color the tree brown and cut it out (you may need to help with this part, it might be too difficult for some to cut out). You don't have to have them color the snow flakes, leave them white. Or you could have them color them light blue if you wanted. Place velcro on the back of each snow flake and tree trunk and then place corresponding sides of velcro to your wall. If you don't want the velcro to touch a wall, you could put them on a piece of construction paper and then tape the paper to the wall. Take all your snow flakes to one side of the room and have your child get on the scooter board, tummy down. DO NOT let them sit or stand on it. They must stay on their tummy for the entire activity. Give them one snow flake and have them push off on the scooter board over to the other side of the room where the velcro is and the tree. You could also have them put the tree up themselves if you want, or just the snow flakes. Once the snow flake is up, then have them scoot back over to you to get another snow flake. Continue until all the items are up on the wall. What to Look For: You are looking for them to use all parts of their bodies together in order to move the scooter board. You don't want to see them using just one side of their body, or only their hands, or only their feet to move on the scooter board. Most of my kids used either their left side only, or their right side only to scoot and had trouble coordinating both sides together. It should look like an army crawl while on the scooter board. Make sure they are also positioned correctly. Their belly button should be on the middle of the board, with the handles of the board on the sides of their body. 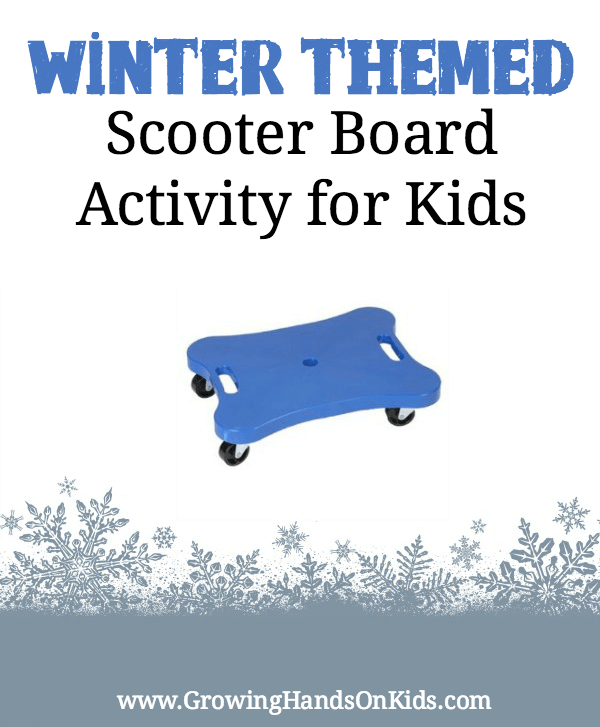 Grade Up the Activity: Add obstacles in the way that they have to maneuver around with the scooter board, while still holding on to the snow flake. You can also give them more snow flakes at a time and make the space they have to move across longer. You could also hide the snow flakes on one side of the room and they have to maneuver the scooter board around to find them and then take them to the opposite side of the room to place them around the tree. Grade Down the Activity: Have the tree already up on the wall and 1 or 2 snow flakes around it as a model. You may also need to physically assist them or give them a model of how you want them to move on the scooter board. Do not have any obstacles in their way. You could also make the amount of space that they have to scoot across shorter. 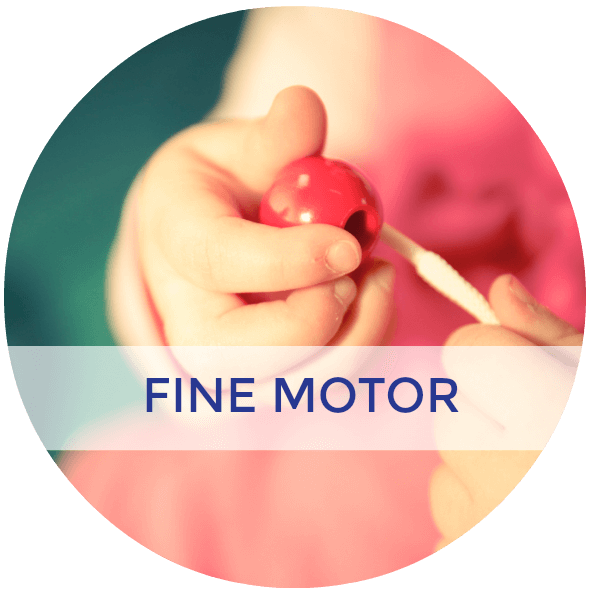 Core strength through tummy time – If you child doesn't like laying on their stomach, this is a great way to get them to do it while doing something fun and not even realizing they are working on their tummy time. 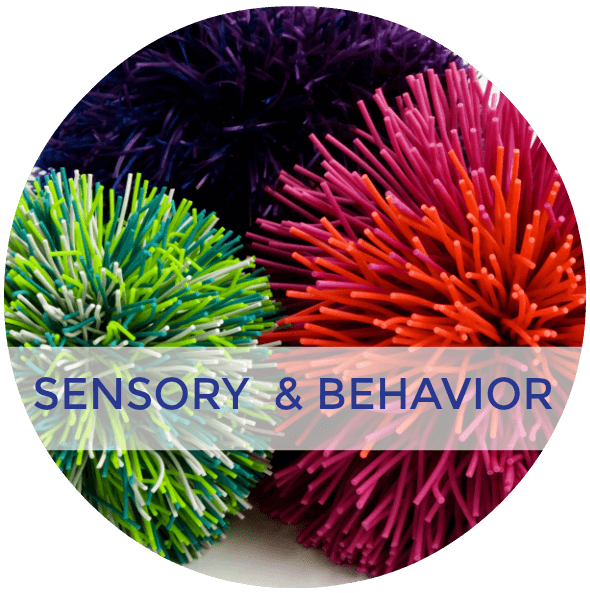 Eye-hand coordination – They are visually working towards a target while using their arms and legs to get to that destination. Then they must place an item to a designated spot on the wall. Bilateral Coordination – Using both sides of their bodies and also bottom and top parts of their bodies together to reach their goal. Also with scissors skills when cutting the snow flakes or tree trunk out. 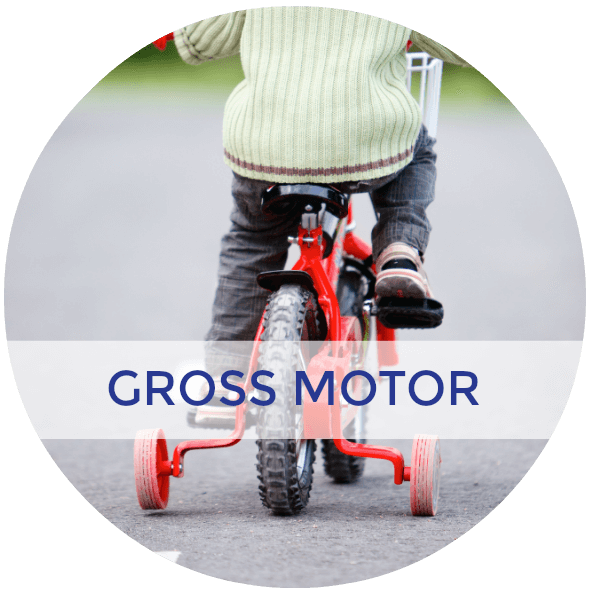 Gross Motor Skills – Strength and endurance, trunk strength and stability. 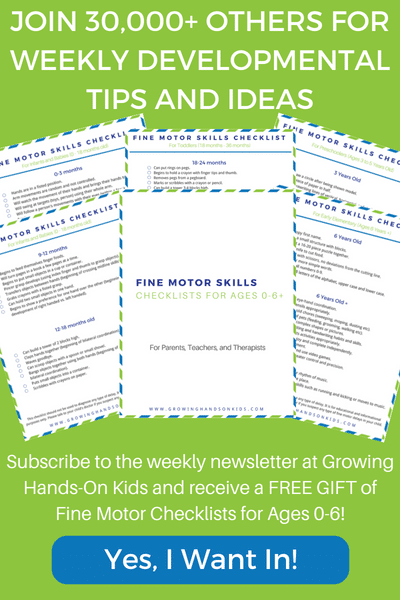 Fine Motor Skills – Coloring skills (staying inside the coloring line), scissor skills (staying within 1/4-1/2″ of the cutting line depending on their age.). 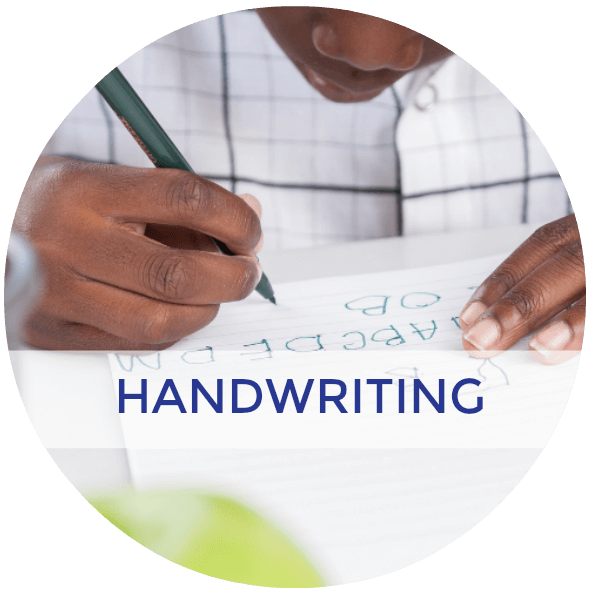 Using proper hand grasp with writing utensils to color (Refer to my Age Appropriate Hand Grasps post for details). You can also check out my Fall Themed Scooter Board Activity and Obstacle Course Relay Using a Scooter Board. For more ideas on Pinterest check out my boards below. 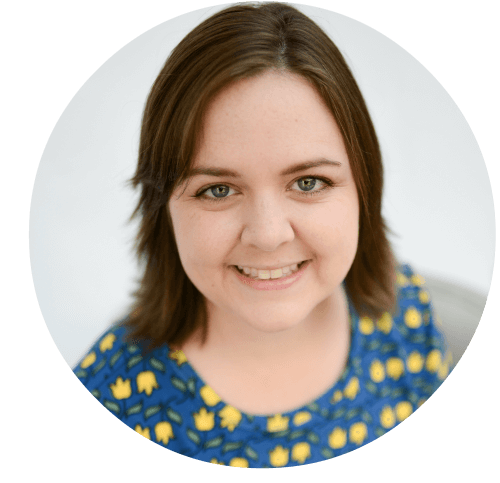 Follow Heather G. | Golden Reflections Blog ‘s board Bilateral Coordination Activities on Pinterest.